Dark chocolate—it’s one treat I can’t pass up. A few years ago on a press trip we were tasting chocolate at a chocolate shop. I was skipping the milk chocolate and going right for the dark. One of my fellow travel writers said, “Even if I never meet you again, I will always connect you with dark chocolate.” Yep, that’s me. 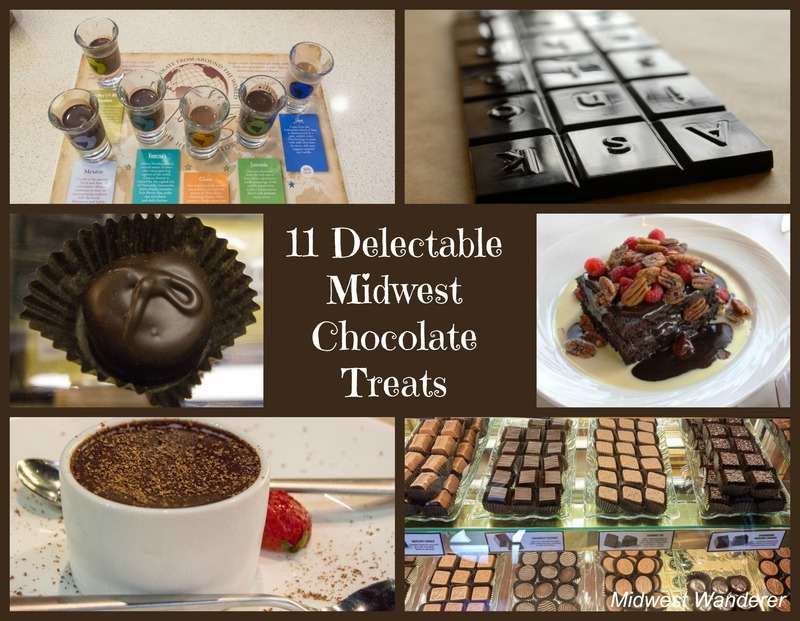 I’ve tasted a lot of Midwest chocolate over the past few years, and am sharing with you 11 of my favorites, in no particular order, plus two from beyond the Midwest. Shawn Askinosie, owner and chocolate artisan, buys beans directly from farmers who grow them in Ecuador, Honduras, Tanzania and the Philippines. He also presses his own cocoa butter, the first small-batch U.S. chocolate factory to do so. Askinosie produces each batch of chocolate from a single source, and each has its own unique flavor. Flavors culminate from differences in climate, soil, fermenting, drying, and roasting. Read more about Askinosie Chocolate. Twelve stops along the Wayne County, Indiana, Chocolate Trail, offer samples of chocolate—all free. Stop at the Old National Road Welcome Center in Richmond and pick up your Chocolate Trail Passport, then start tasting your way through the county. Taste chocolate candies, ice cream, and even chocolate cheese! (Chocolate cheese tastes similar to fudge.) One non-edible chocolate is a chocolate-scented votive candle from the Warm Glow Candles Company Store, where you’ll also see the world’s largest candle. Read more about the Chocolate Trail. The Order, located in the Hotel Vandivort, prides itself on using locally sourced foods in their dishes. Dessert is no exception. The Chocolate Pot de Crème is made with the above-mentioned Askinosie Chocolate and espresso from Coffee Ethic, also located in Springfield. The pot de crème was one of the most decadent desserts I’ve ever tasted. Read more about The Order and the Hotel Vandivort. You sample several chocolates on the DeBrand Fine Chocolates factory tour in Fort Wayne. Then visit the chocolate shop or one of the other three DeBrand stores in Fort Wayne (and one in Indianapolis) to purchase more. My favorite is the rosemary-infused dark chocolate, from DeBrand’s Connoisseur Collection. Read more about DeBrand Fine Chocolates and other things to do in Fort Wayne. Tour the South Bend Chocolate Company factory and small chocolate museum. If the candy isn’t enough chocolate for you, the South Bend Chocolate Café will take care of your craving. They offer sandwiches, soups, and salads, but the stars are muffins, fudge cakes, cheesecakes, and other chocolate desserts. Read more about the factory tour. Read more about the Chocolate Café and other places to eat in South Bend. Executive Chef Patrick Alberto’s lunch and dinner creations at Octane InterLounge in downtown Rockford will wow your taste buds. However, be sure to save room for dessert. The Chocolate Nachos begin with rich chocolate mousse and brandied walnuts. Deep-fried crepes serve as the “nacho chips.” Read more about Octane InterLounge. Eddie Merlot’s is a regional fine dining restaurant. I experienced the Fort Wayne location. Following a gourmet meal, the pièce de ré·sis·tance was the Cognac Brownie. The chef poured cognac over a decadent brownie, then lit it for a dramatic effect. He topped the brownie with pecans, fresh raspberries, chocolate ganache, and crème anglaise. The Cognac Brownie was as close to heaven on a plate as you could come. Read more about Eddit Merlot’s. Driving through southwest Michigan, I couldn’t resist the billboards directing us to The Chocolate Garden. The Chocolate Garden hand makes decadent truffles. I chose all dark chocolate varieties to try at the tasting bar. Not surprising, my favorite was the Darkest Dark Chocolate, a bittersweet chocolate truffle rolled in cocoa. Ooh, what a find! This one was a pleasant surprise for us. We were driving through northwest Indiana when we stopped at Barlett’s Grourmet Grill & Tavern on the suggestion of a local visitor bureau brochure. Don’t let the roadhouse look of the exterior fool you. The atmosphere is casual, but the food is gourmet. I hadn’t planned on dessert, but when our server mentioned chocolate mousse, I couldn’t resist. It was more dense than the typical mousse, served like a slice of cheesecake—and super chocolaty. Read more about Bartlett’s Gourmet Grill & Tavern. Lagomarcino’s is an iconic old-fashioned ice cream parlor that has been in business since the early 20th century. Many of the furnishings are original. The Lagomarcino family keeps recipes as original as possible. Candy making skills have been passed down generation to generation. The real treat here is the hot fudge that Angelo Lagomarcino began using in 1918. It’s served on the side in a small pitcher so you can pour it on as you like. Lagomarcino’s has a second location in Davenport, Iowa. Read more about Lagomarcino’s. I’d be remiss if I didn’t mention Silver Moon Winery. No, it isn’t chocolate wine, but rather dark chocolate vinegar. It was at Silver Moon Winery that I was first introduced to flavored oils and vinegars. Chocolate vinegar sounded odd to me until winery owner Kathi Enzenbacher suggested how to use it. Pour some over strawberries, add a little brown sugar, and let it macerate. How delicious it is over ice cream or angel food cake! Read more about Silver Moon Winery. We were driving through Santa Fe when I spotted Kakawa Chocolate House. I convinced my husband to turn into the drive, although it didn’t take much arm twisting. Kakawa Chocolate House was unlike anything I had seen before. Yes, they sell chocolate candies. But what drew my attention was the elixirs. Elixers? It sounded like a witch doctor potion. But it actually was a real treat. Elixirs are chocolate beverages with intense flavor and spiced with herbs, flowers, and chilies. Served in small espresso-type cups, the beverage is very lightly sweetened and based on recipes recreated from historical sources. After our experience in Santa Fe, I was excited to see that The Hershey Story museum offered chocolate beverage tastings, as well. The flight of six chocolates were from around the world, including Tanzania, Ghana, Venezuela, Mexico, Java, and Hershey’s® Milk Chocolate. The instructions were to try them from darkest to sweetest. Darkest to sweetest was disappointing for me because I’m a “save the best for last” person, and I knew I’d like the darkest best. The staff seemed surprised when I deemed the most bitter the best. Apparently I’m the exception to the rule. Read more about The Hershey Story. 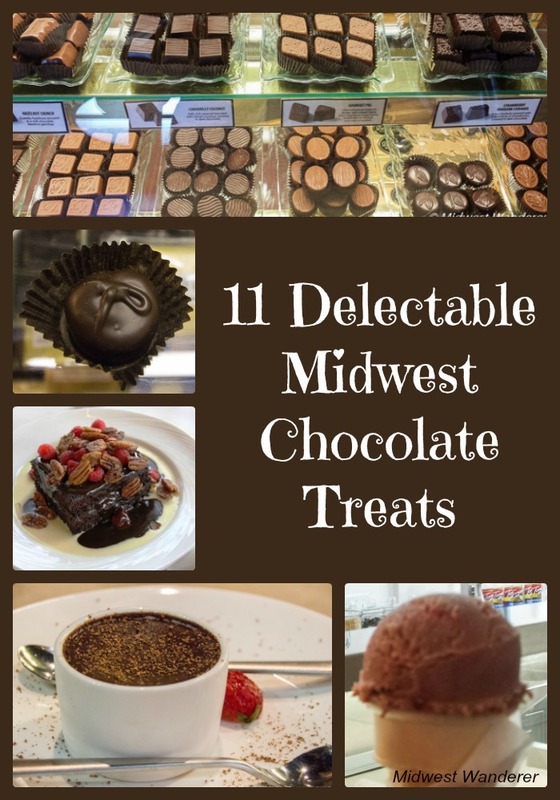 What is your favorite Midwest chocolate? Do you prefer bitter dark chocolate or sweet milk chocolate? Answer in the comments below. Have you had Betty Jane Candies from Dubuque, Iowa yet? You’ll have to try that the next time you’re in the area! No, I haven’t, Val. I’m hoping to get to Dubuque this year, so I’ll be sure to try Betty Jane Candies then. Thanks for the tip! I have had the Debrand chocolates and oh my! DeBrand really is good. They even make chocolate boxes that they then fill with chocolates. 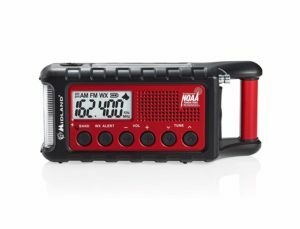 Such a perfect special gift. You MUST come to Kansas City and try Christopher Elbow’s chocolates!!! Thanks for the tip, Sage. When I get to Kansas City (hopefully soon), I’ll definitely try Christopher Elbow’s chocolates. I looked at the web site and am impressed with flavors like Ecuador (dark chocolate ganache made with cacao from Ecuador) and Venezuelan Spice (dark chocolate ganache infused with a chile spice blend). Another reason to visit Kansas City.